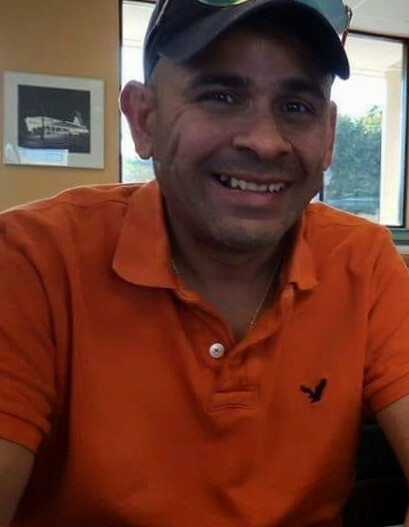 Juan Jose Coy Jr. was called home to be with our Lord and Savior surrounded by family on January 17, 2019. He was born June 23, 1974 in Ozona, TX. Those left to cherish his loving memory are his parents Juan Sr. and Silvia Coy of Ozona, sisters; Kim Guiterrez and husband Andy of Lubbock, Evangela Lopez and husband Mario of Ozona, Cheyenne Coy of Ozona, Josae Coy of Angelo, nieces; Gaby, Lil Andi, Sofia, nephews; Lorenzo, Gio, JohnMichael, and Daniel Luke. He was preceded in death by his grandparents Juan and Josephine Fierro, Moises and Maria Isabel Coy Rodriguez, and Uncle Fred Vela Fierro, and he beloved pug. Juan graduated from Ozona High School and was a member of OLPH Catholic Church. He managed several convenience stores through out his life. J.J. loved life and lived it his way, he enjoyed tejano music, dancing, and loved spending time with family and friends. He was a wonderful son, brother, tio, and friends who is leaving many memories to treasure and keep, and who will be deeply missed by all. His final resting place will be in Lima Cemetery in Ozona, TX. In lieu of flowers the family ask to make a donation to the humane society.